Après 5 décennies sur scène, Larry Dodson chanteur emblématique des non moins emblématiques BAR-KAYS se met à table pour nous raconter tout sur la vie d'une Funk star! "Dodson opens up to let the world in on what this journey has been like for him. 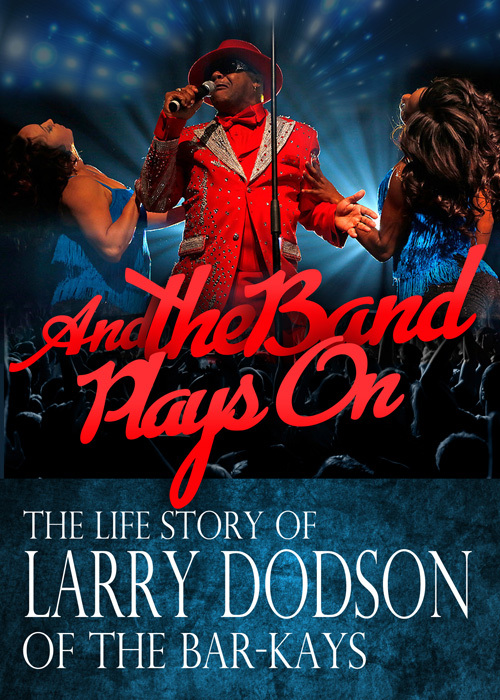 From overcoming difficult family problems to battling and overcoming drug addiction, alcohol abuse, industry controversy, and all of the demons that often come along with being a living Funk legend for almost five decades, Larry Dodson recalls and talks candidly about the peaks and valleys of his career with the world famous Bar-Kays. Fans will find this book to be not only an extra special read, but a collector’s item. Backing up soul legends such as Otis Redding and countless other soul and R&B icons both in and out of the recording studio, teaming up with music giants like Isaac Hayes to help create the Oscar-winning sound tracks theme from Shaft, collaborating with Funk legends such as Sly Stone, George Clinton, Larry Dodson and The Bar-Kays have done it all and Larry talks about it all in"
par Weego » 19 juin 2012 18:59 » dans R.I.P. Qu'est-ce qu'il est raw et poisseux ce titre ! par Wonder B » 22 juin 2015 18:05 » dans R.I.P. C'est le premier jour de l'an IV (de l'ère Post Révolutionnaire dit aussi FUNK dans les milieux prolétaires). J'avais un compte fut un temps, mais j'ai oublié mes pass. Effectivement, un très bon morceau que j'ai chopé il y a quelque temps; Bienheureux m'en a pris.